Yesterday, well, a couple of hours ago, I got a reply from heaven! I was browsing stuff as usual when a unique musical duo grabbed my attention on U-Tube. Wasn’t your typical instrument either. 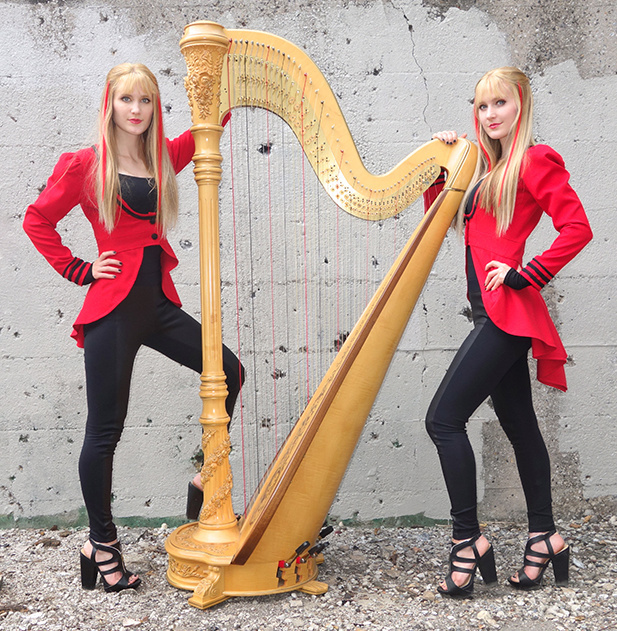 Never thought I’d ever enjoy listening to HARPS. And, as if it wasn’t peculiar enough, they’re played by two beautiful twins! Since I was very pleased with the recording, the sound guy in me couldn’t resist asking for a “studio” version. I wasn’t expecting much when I got quite the reply, including technical details. So here it is for your enjoyment! +Sirusdark ~ Aww. Thank you so much for the sweet comment, compliment, and encouragement! Sorry, but we do not play or record in a studio. We are much more low tech and we have no extra people or equipment to film ourselves. All of our videos are live sound. If you are interested in our “how we do it” we will post it again below. If not, thank you for checking this out! However, like anyone making a “music video”, we do not use the sound we recorded through our little camera on a tripod – even when playing our electric lever harps or little acoustic harps. There is always too much ambient and environmental noise outdoors (wind, birds, traffic, people, dogs, trains, planes, etc.) plus filming from different directions and distances. When we get home we record ourselves LIVE in our living room. We play together (at the same time) just as you see us doing in the video and add it to the edited video footage. We also play electric lever harps (Fear of the Dark, The Trooper, Nothing Else Matters, Star Wars) and very small acoustic lever harps (Crazy Train, Zelda Lost Woods, Ice Queen). Unlike other instrumentalists we have not overlayed ourselves by playing adding “extra” harp parts to fill out the sound. What we play is what we can perform ourselves – live. Please listen with headphones for much richer detail.